Working together with the hromada, having a rest together with the hromada – that is just the way Ukrainians do it. Bicycle tour in the hromada of the Zhytomyr Oblast is a landmark event. 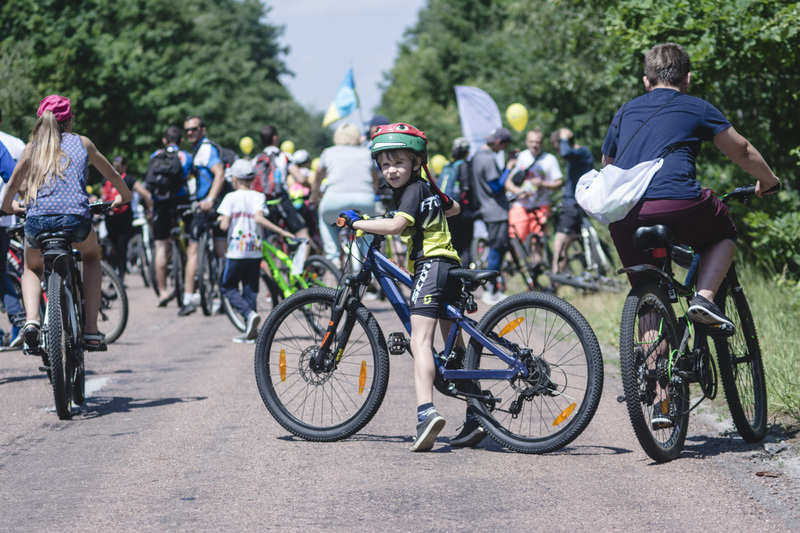 More than 300 cyclists, the hromada of the Zhytomyr Oblast, took part in it, and the main thing is the large number of children and young people. 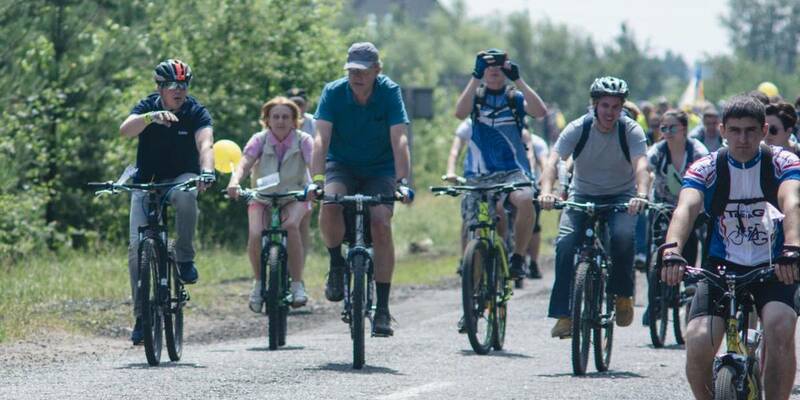 We launched the all-Ukrainian initiative "Green Light for Cycling in Hromadas", and we carry it out together with our friends – international partners supporting Ukraine in implementing decentralisation, said Hennadii Zubko, Vice Prime Minister – Minister of Regional Development, Construction, Housing and Communal Services of Ukraine, staying in front of participants of the bicycle tour in the Korostyshivska AH of the Zhytomyr Oblast. 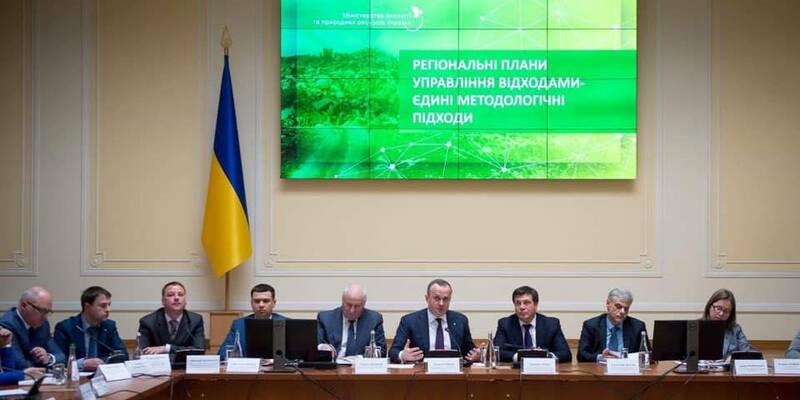 According to him, today Ukraine applies the best European experience in administrative service from Sweden, in e-governance from Estonia, in administrative approach to governance from Poland, in energy efficiency, infrastructure and, in particular, road infrastructure from Germany. “Ukrainians have always been a European nation, we have always known to rest with our family, work with our family and do our best to create the necessary conditions for our family. Thank you for joining this European holiday today, which makes all people going out into the streets, turning over to ecological transport, and gives an opportunity to chat with each other, with children. 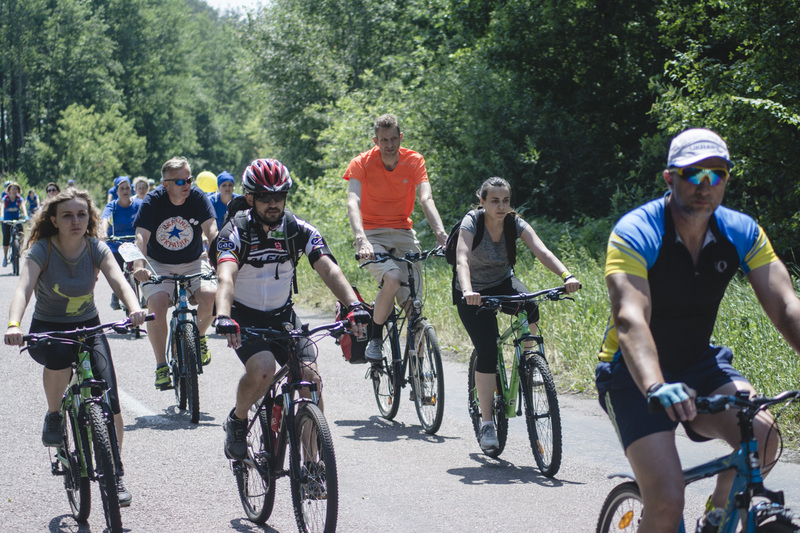 And this is not just a kind of sports, it is one of the first bicycle tours, and I believe that it will become a good tradition,” said Hennadii Zubko. The official stressed that the country is currently becoming physically, morally and economically healthier. 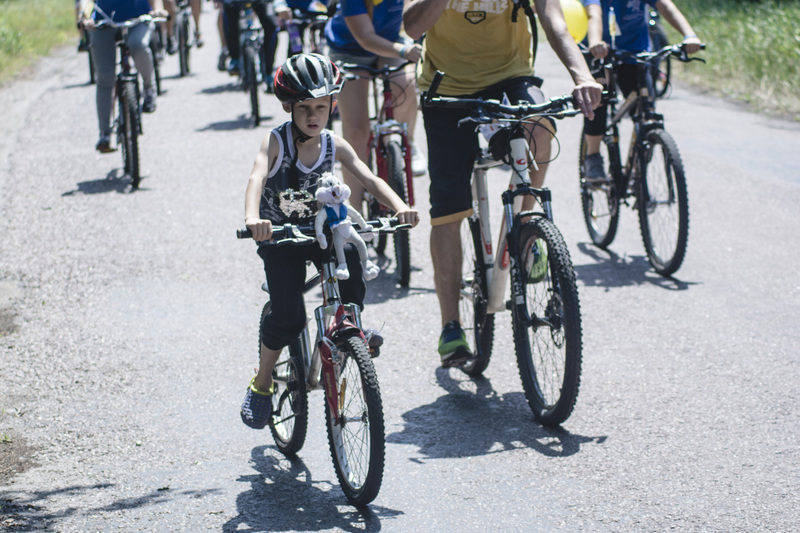 The bicycle is becoming more popular among Ukrainians. It is sports, rest and an ecological mode of transport at once. This kind of sports forms a healthy lifestyle, tempers the spirit, makes Ukrainians able to overcome difficulties and gain victories. 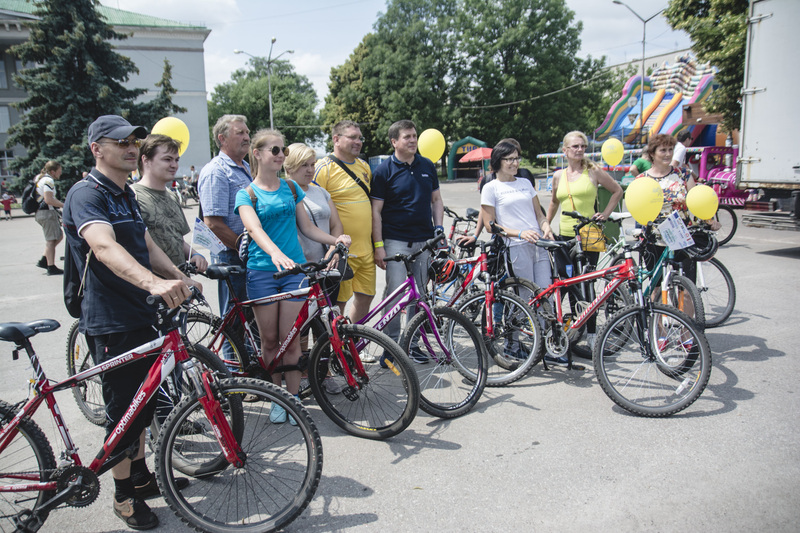 “Bicycle campaign in hromadas is a great idea with a specific purpose. 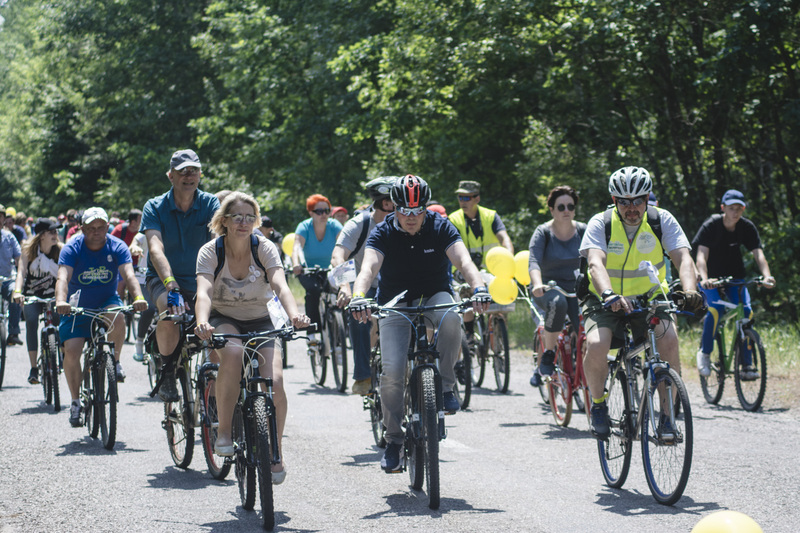 However, one desire is not enough, it is necessary to develop the bicycle infrastructure, and today it is possible, since decentralisation has given hromadas the necessary financial resources,” noted Hennadii Zubko. 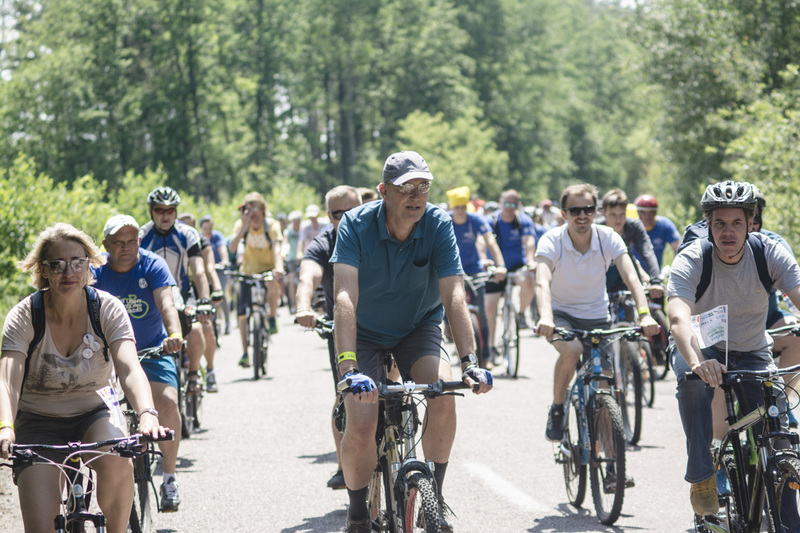 In his turn, Berend de Groot, Head of Cooperation of the Delegation of the European Union to Ukraine, emphasised that organisation of a bicycle tour in the hromada is demonstration of the new Ukraine. “We may talk a lot about decentralisation and what we can do. During the bicycle tour we have seen a new hub school and a cultural youth centre. But most essentially, we have seen the enthusiasm of the youth, ready and worth to do many new things. This is the spirit that promotes and will promote the reforms both in the decentralisation sphere and at all the other levels. 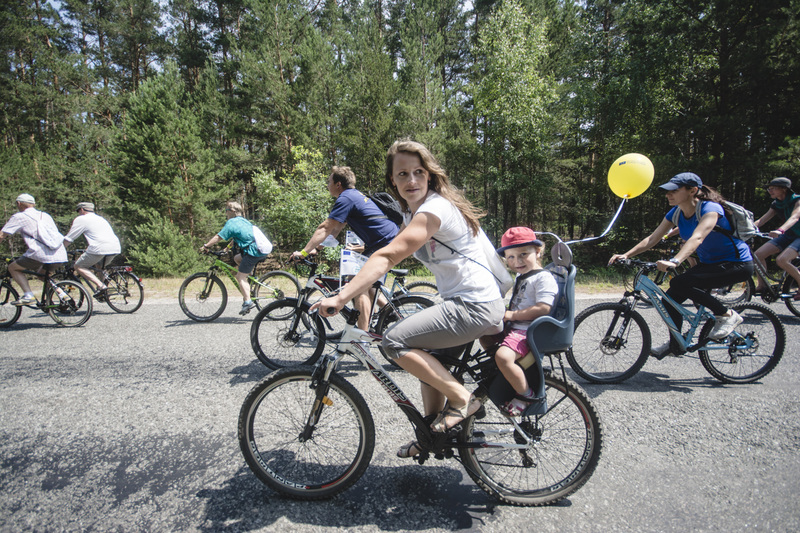 Cycling is a real trend in Europe, and it is the future of Ukraine,” – he stressed. 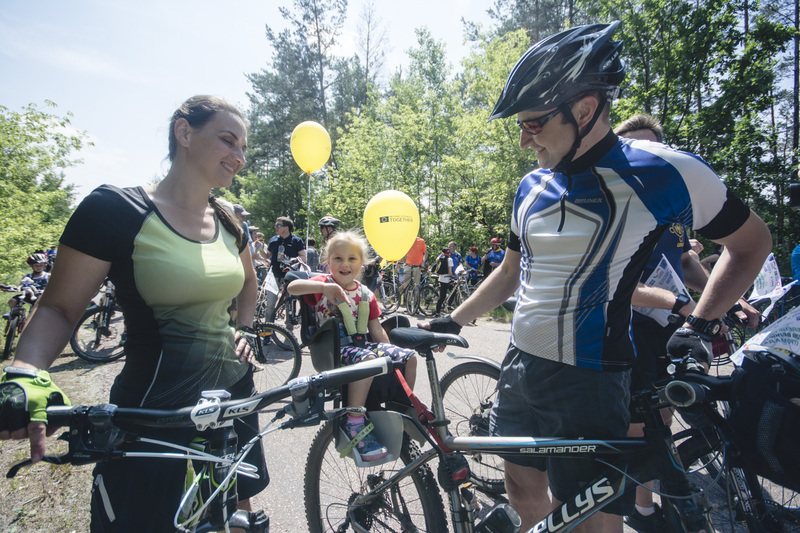 The bicycle tour in the Zhytomyr Oblast is just the beginning of a great initiative. 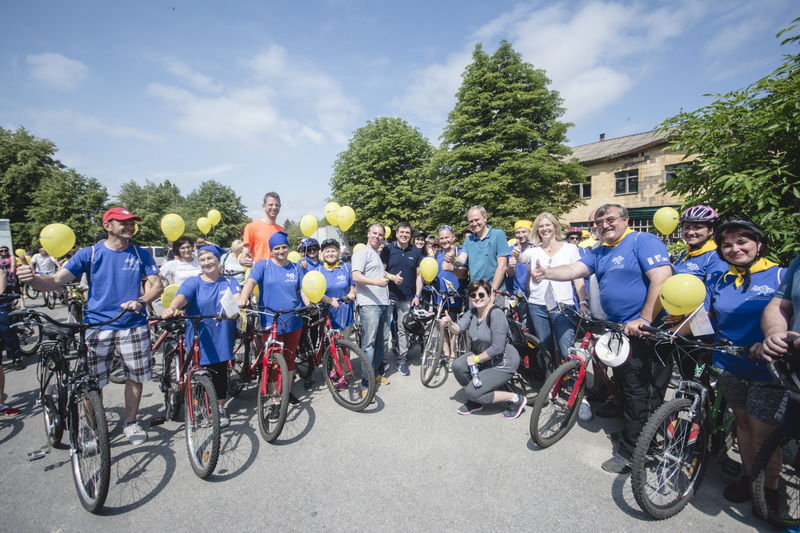 At the next stage, together with the U-LEAD with Europe Programme, the cycling campaign, designing of cycling paths and networks will be actively promoted among pupils in the hromadas. “Using German experience, we will build a bicycle infrastructure in the hromadas. 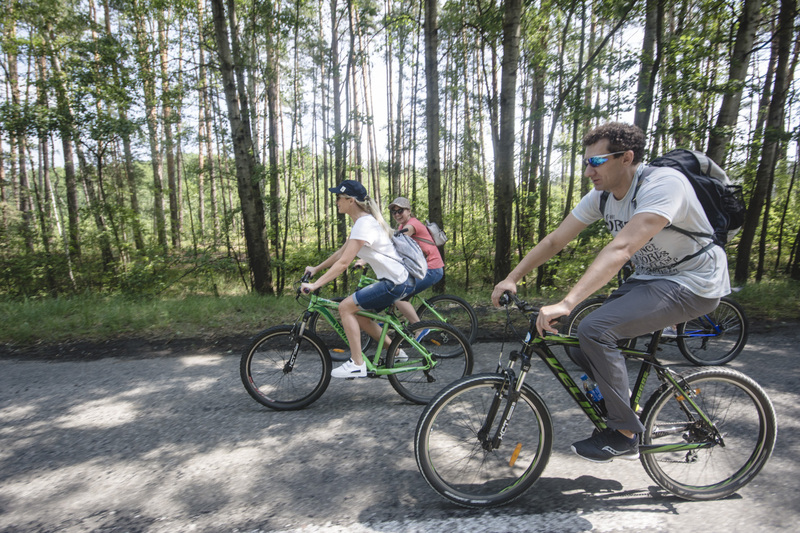 I am convinced that very soon Ukraine will become a cycling country as Sweden, Denmark, the Netherlands, Germany, Austria, and will join the family of European states. 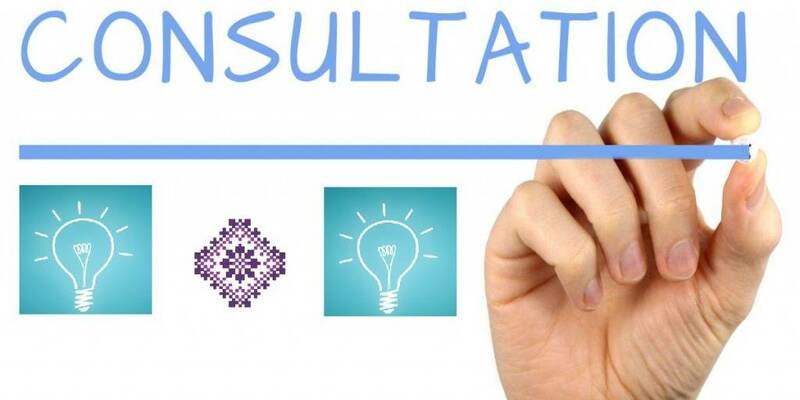 For me, successful AHs throughout whole Ukraine will make the first conditional finish. I thank our partners of the U-LEAD with Europe Programme, with whom MinRegion has been working for three years. 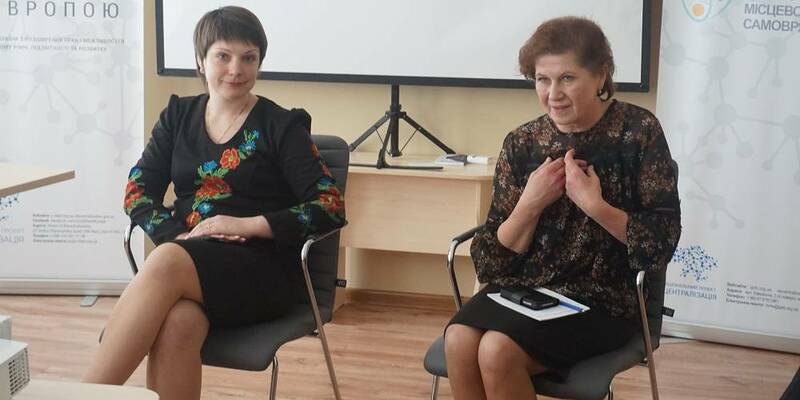 And 743 AHs, existing today in Ukraine, are our joint work with the European Union,” said Hennadii Zubko. The initiative “Green Light for Cycling in Hromadas” is aimed at promoting cycling as a sustainable, eco-friendly & healthy means of personal mobility in hromadas. 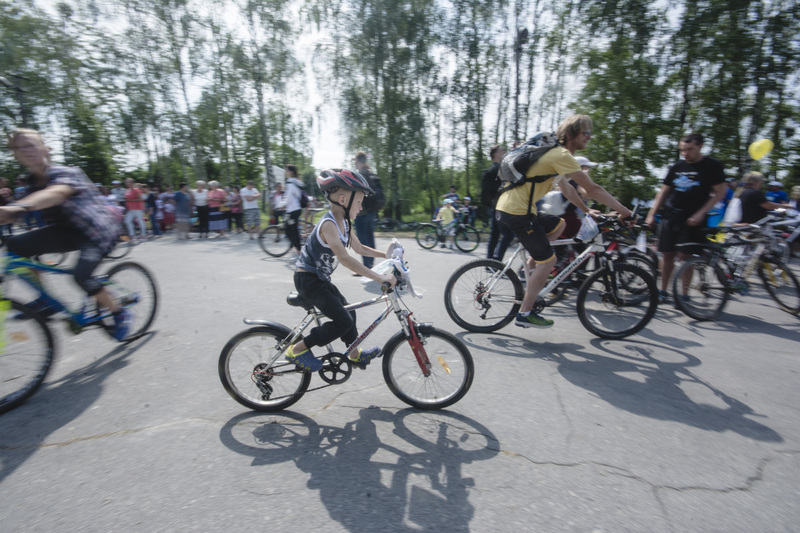 It is implemented in support of MinRegion by U-LEAD with Europe and in cooperation with the Kyiv Cyclists’ Association. 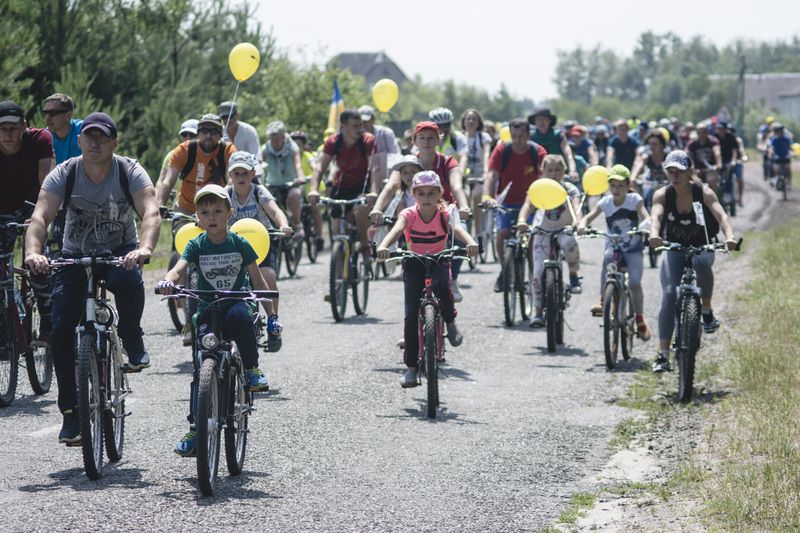 The initiative pilots a combination of measures that include campaign promoting cycling among schoolchildren and youth in different hromadas, including a series of planned workshops; design and construction of cycling infrastructure in hromadas. The participants of the tour included Berend de Groot, Head of Cooperation of the Delegation of the European Union to Ukraine, Janthomas Hiemstra, UNDP Ukraine Country Director, as well as representatives of donor programmes and international partners, who actively support the decentralisation reform in Ukraine.